You need to fly for a concert abroad? And you’re concerned about that long ride for your violin? Your violin will be subject to potential vibrations and falls. It must therefore be protected in a resistant violin case and able to bear weight. 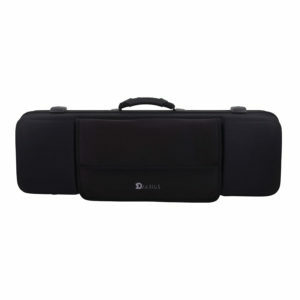 We prefer rectangular cases that are easier to stow in luggage compartments. Do not leave any element in free movement inside the case. And insert the rosin, the shoulder rest, the spare strings, etc. in closed pockets. Even if the plane is pressurized, it is better to loosen the strings to avoid an overvoltage, even a breakage. At altitude, strings’ tension can be accentuated and can damage the body of your instrument. This is one of the basic rules when travelling with a stringed instrument and it applies to both violins and guitars. This can make you feel safe about your valuable instrument… To insure an instrument for a year is an option. However, make sure your policy covers your instrument not only in all types of transport, but also in all destinations. Very often, insurance companies do not provide coverage for instruments in all countries. You never know what can happen at customs. It’s better to have the invoice of your instrument to avoid any inconvenience. We have already read articles of musicians that got stuck at the customs because they were unable to prove that the instruments they were carrying belonged to them. Aircraft cabins tend to be very dry and therefore poor in terms of humidity. Wood naturally contains a certain degree of humidity that changes in time. These humidity variations make the wood change. You have probably already observed after having rehearsed in backstage, then on stage: under different conditions, your violin has detuned because the wood is not the same… This is related to a probable change of temperature and/or humidity in the air. These changes in matter also apply to the 3Dvarius, which is made of 3D-printed resin. Resin reacts to changes in temperature too. By placing a humidifier in your case, you will maintain a certain humidity level. Remember to remove it on arrival, it may not be needed once you reach the ground. Humidity is measured with a hydrometer and must be between 40 and 60%. This is the first advice we give to any instrumentalist, even if we are aware that sometimes companies leave no other choice. For safety reasons, it is better to avoid the hold to put any musical instrument in. Everyone knows how baggage that ends up in the hold are handled. They are often thrown from compartment to compartment, they are stacked on top of each other and undergo a lot of vibrations… The hold is the place to avoid! In addition, after take-off, and at high altitude, temperatures are very low. And even if the hold is pressurized, it is not heated. A violin will therefore undergo significant temperature and humidity changes between take-off and landing. Sudden and significant temperature changes are not recommended for any musical instrument… Sudden changes can cause cracks on the body of your instrument. However, the hold is the right place to carry ancillary equipment such as effect pedals. At 3Dvarius, we have invested in large roller sports bags with a hard shell. Our effect pedals are protected and stored in these bags. Do not put a padlock on your suitcase under no circumstance. By scanning it, controllers may want to check the contents of your suitcase. It must be said that small and medium boxes with electronic circuits and maybe some cables can only attract attention! As mentioned above, most companies accept small musical instruments as hand luggage. Attention, we’re talking about most of them. Some will simply refuse, and others will ask you to pay an additional fee. This is often the case for low-cost companies. If you’re travelling with a cello or a double bass, the size of the instrument is often too large. The musician is sometimes asked to book a second seat on which your instrument will be attached. You will find these items on the airline’s website. 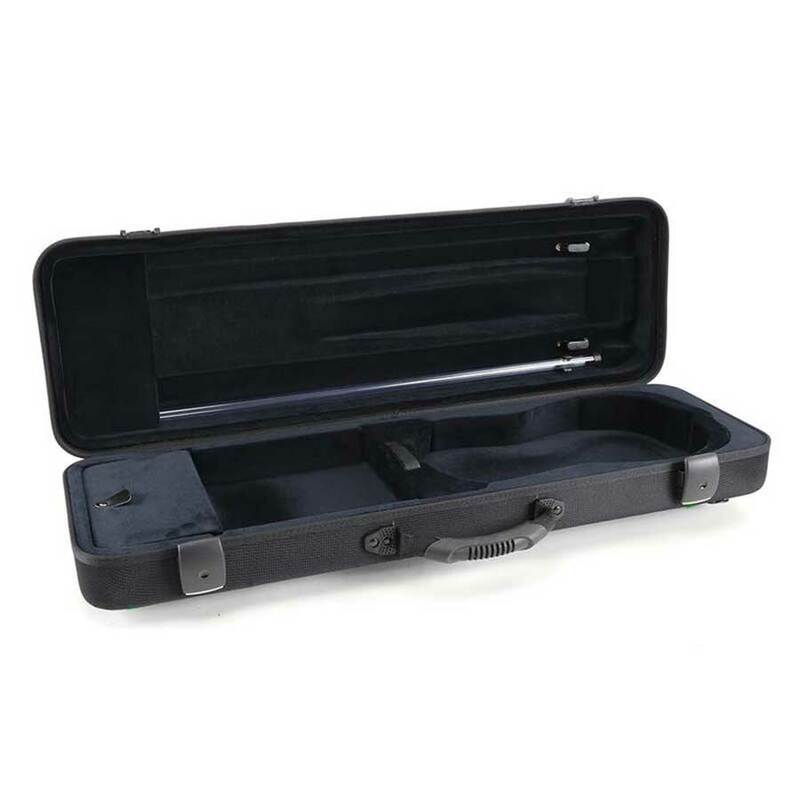 Measure the case of your instrument well and make sure everything is OK. Of course, if it exceeds a few centimeters, there shouldn’t be a problem… In any case, we never saw a steward or a hostess grabbing a meter and measuring our violin cases! How to make sure that your instrument can get boarded in the cabin with you? Unfortunately, we don’t have a magic potion to make sure that your violin will be able to board the cabin with you… However, here are some tips that we put into practice every time we travel. We never buy a ticket before knowing the airline’s practices about musical instruments. Of course, we compare prices. But before validating any payment, we make sure that no difficulty has been encountered in the past by a violinist. We read and print the general conditions and the company FAQ about musical instruments. So, in case of problems, we have this item in hand. Maybe you think we’re going too far? Think again, this document has already saved the day. During a previous trip with Norwegian Airlines, one of the hostesses refused to let us ship because we were carrying violins as hand luggages. By showing her the document proving that the company was allowing violins as hand luggage, she could not say “no”. And yes, the FAQ or the terms and conditions may not be enough. So, we also write to the company for further confirmation and an additional proof. We also use the online chat of the company, and make a screenshot of the confirmation… You don’t believe us? Well, again, think again, it has already been useful to us! Each boarding is an extra stress you go through as you may be get the access to the cabin denied because of your instrument. So, pay a few extra dollars and prefer the tranquility of a direct flight! All musicians have heard or read about a low-cost airline that refused to pick up a passenger travelling with a musical instrument… Yes, low-cost companies are the first ones to refuse musical instruments. We put a special mention to EasyJet with which it is always a pain! If you are on a long-haul ride, note that it will be easier to take your violin as a hand luggage. Long-haul planes are designed to carry a lot of weight and have slots to store instruments (including the captain’s cabinet). If you’re on a short-distance flight, the plane will not be suitable, and it will be difficult to find a slot to store your violin, hence the refusal of some stewards and hostesses. When it’s too early in the morning, fewer people are travelling. And if people in the plane are fewer, there will be more slots for your instrument… It is therefore much easier to board with a violin as a hand luggage. At check-in, and if the person in front of you seems to be understanding, let him/her know that you are travelling with a violin. 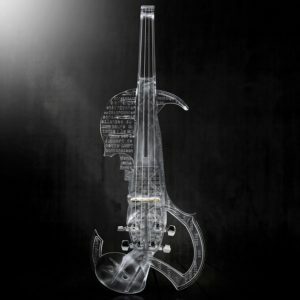 That it is a fragile and expensive instrument, and that the hold is a risk that you just can’t take. Whenever possible, be the first one of the boarding queue: you will have plenty of time to rest once seated on the plane! ‘Cause if you are the first one to board, you will also be the first to put your violin in one of the luggage compartments. And you will be sure to find a place for him to travel with you! If you are within your rights, don’t give up… We were threatened several times to get off the plane, but no way. With all evidences that we can travel with our violins in the cabin, we do not give in! And too bad if the plane gets delayed. Why fight for something that is already lost… If the company refuses musical instruments in the cabin, it’s not worth buying the ticket. Look for another company! Where in the cabin can you put your violin? That’s it, you’re in the cabin and the on-board crew have agreed that you can travel with your instrument! Now it must get sheltered to avoid any inconvenience. Yes, it may sound silly but it’s better to be able to keep an eye on your violin. A simple example: if someone opens the luggage compartment, it is better to be ready to react in case the person moves the case. Always lay the box flat so that the instrument is not on the back. 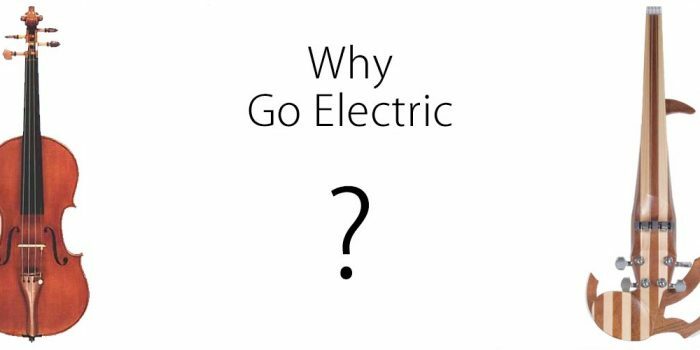 Why should musical instruments be tuned up to A? 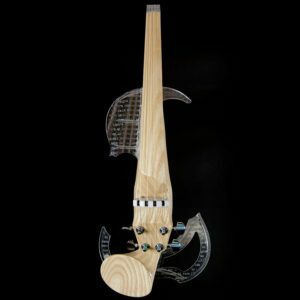 How to plug in and record an electric violin with a computer? Posted in Blog and taggued violin. 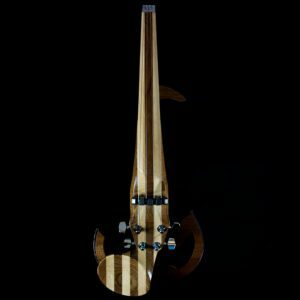 ← NewerWhich single or multi-effects pedals should I choose for my electric violin? 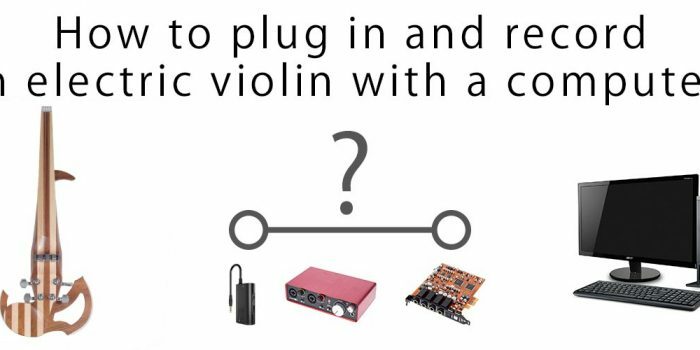 Older →How to plug in and record an electric violin with a computer?